A moment of calm in what has been a chaotic week! Today was a great opportunity to play catch-up with my emails and create some new connections for some exciting new content. 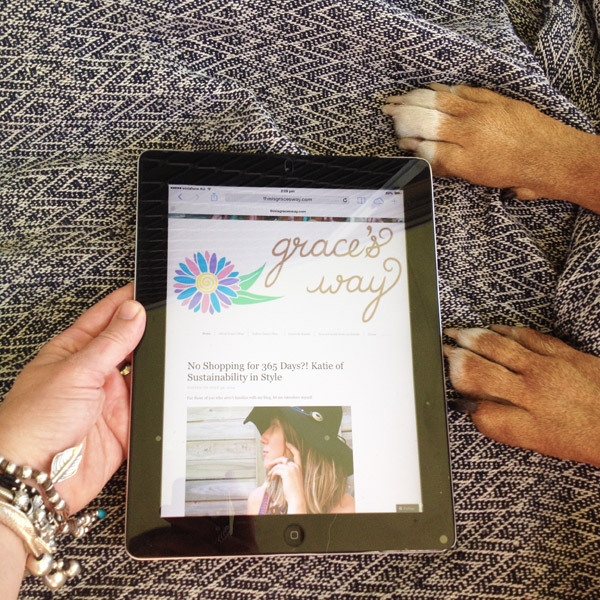 First up my collaborative blog post with Graces Way went live today you can check it out here. I have another exciting collaboration happening shortly with The Dotted Suit Project, which required me to set up for photos today. Feeling inspired by another shy 365 day challenge Instagram user @blackmilk365dayschallenge, who has just stepped out from behind the camera, I decided to be brave and pose for todays outfit. So there is plenty of goodness to come in the next few days! Thanks for supporting our site with your amazing post! You’ve given me so much to think about, I’ve been reshuffling my wardrobe ever since I read it! So many great suggestions and shout outs. Merci ma cherie! Thank you so much for inviting me to write for you! Love your blog and can’t wait to see where it heads next. Let me know how the wardrobe shuffling goes.